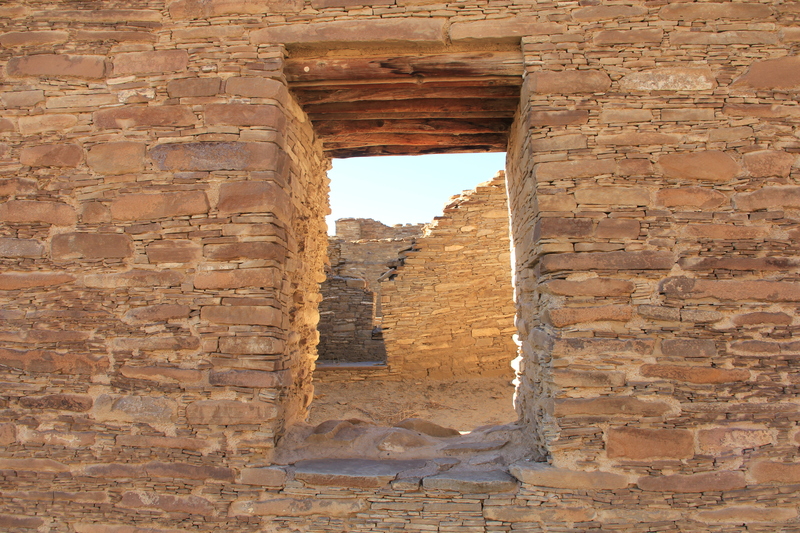 Chaco Culture National Historic Park is remarkable. The canyon’s breathtaking architecture has drawn visitors from around the world. 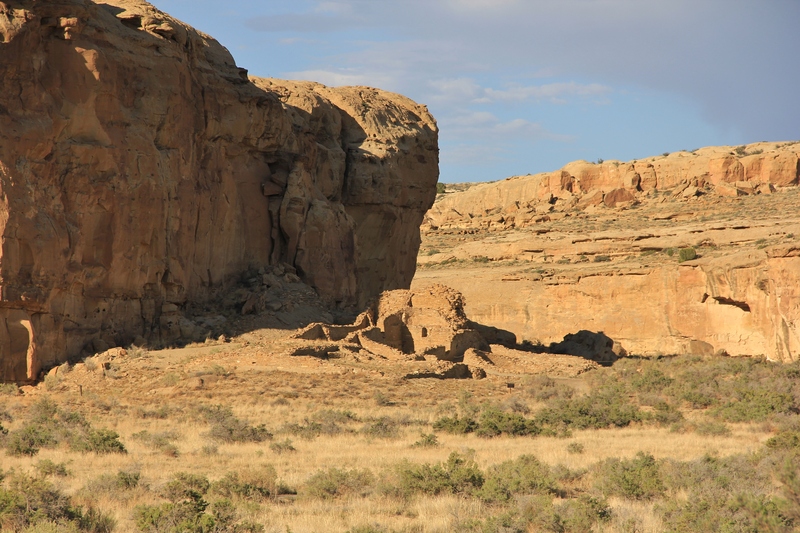 A thousand years ago Chaco Canyon was the center of a phenomenal culture. Monumental public architecture was constructed with rocks, mud, stone tools and a great deal of social cooperation. 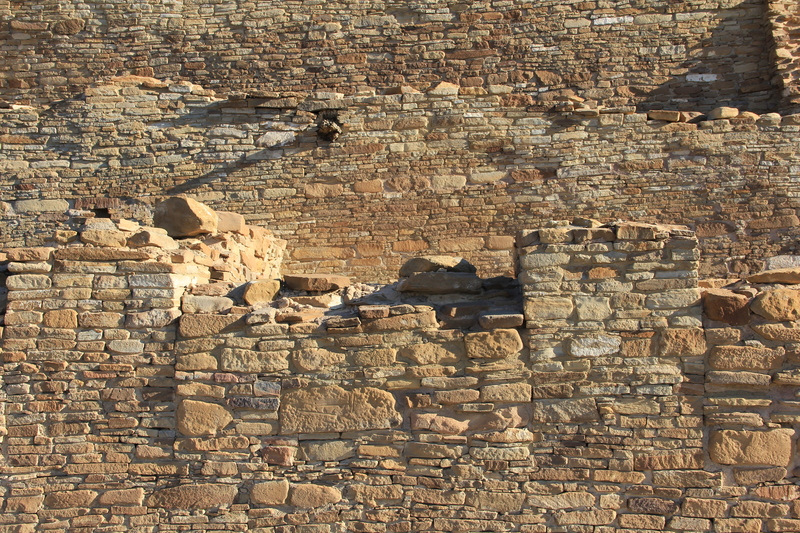 For generations construction continued on a cluster of great houses in Chaco Canyon. 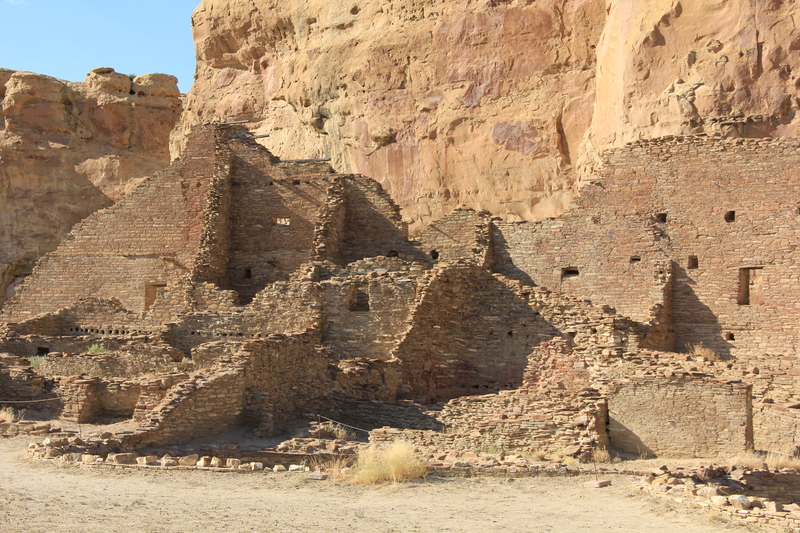 After prevailing for 300 years, Chaco Canyon declined as a regional center, construction ceased and the great houses where abandoned. 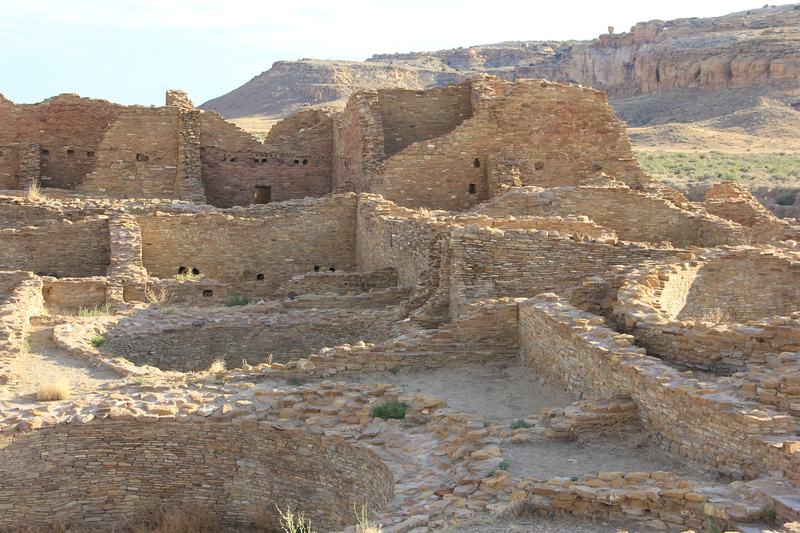 Chaco was a major center of trade for neighboring and far distant communities. There is archeological evidence of workshops for manufacture of fabrics, pottery and turquoise jewelery in the great houses. Around 200,000 pieces of turquoise have been excavated from the ruins. The Chacoans also traded extensively with Mesoamerica. Parrot feathers, macaws, sea shells and copper bells have been found in abundance at Chaco. The economic, religious and political system that held this culture together was supported by people from across a vast region. What caused the flourishing society to disintegrate? 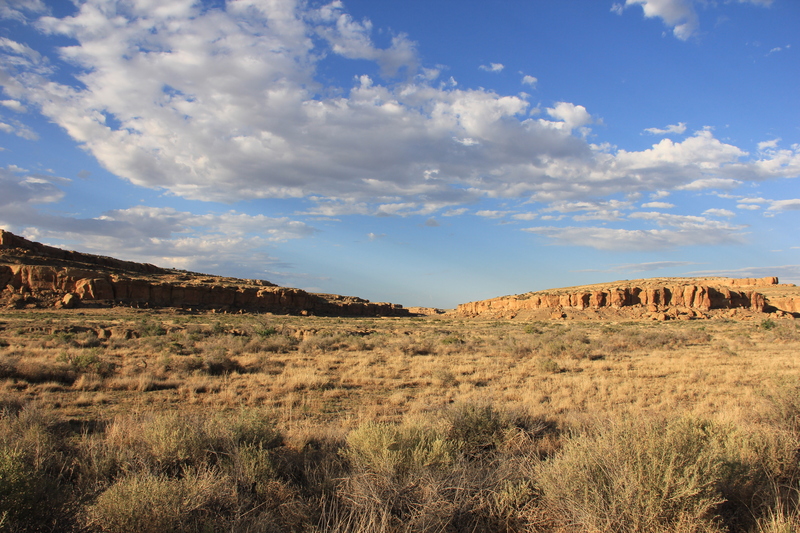 Are there parallels that can be drawn between Chaco and life in the Soutwest today? 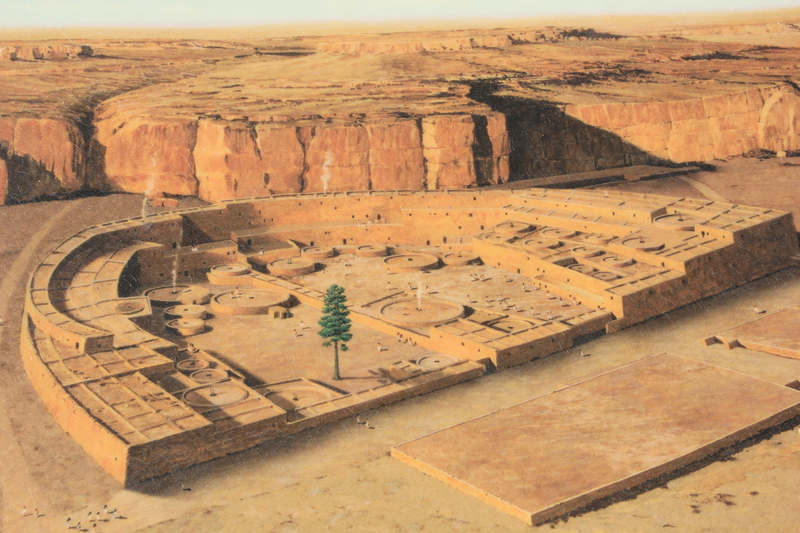 Above is an artist concept of what Pueblo Bonito, one of the great houses in Chaco Canyon, probably looked like around AD 1150. 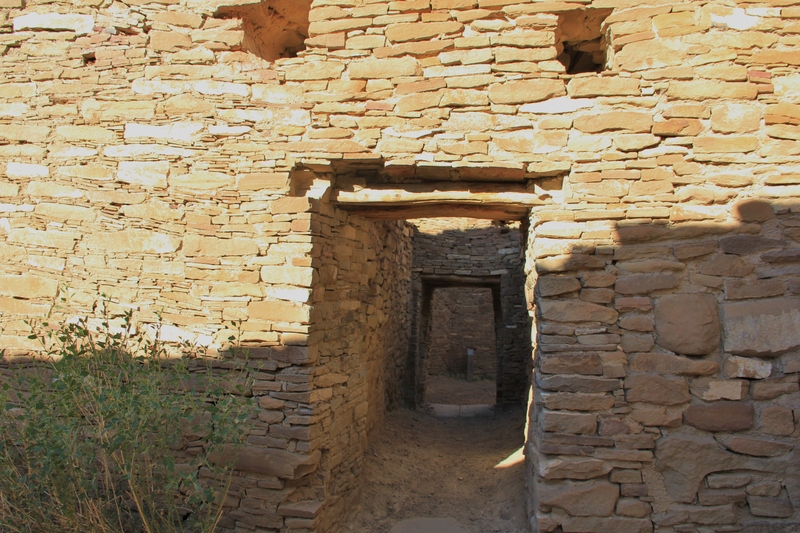 Pueblo Bonito covered 3 acres, had more than 600 rooms and two plazas with dozens of ceremonial kivas. Only a small portion of this great house seems to have served as living quarters. 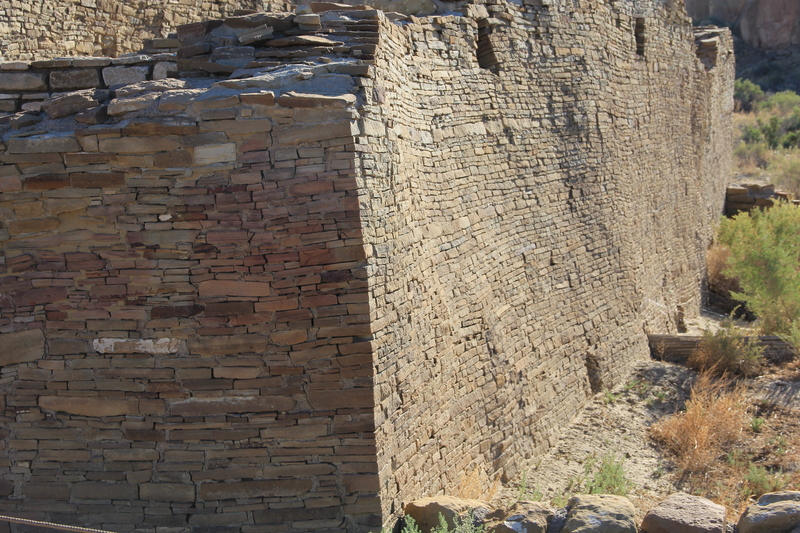 Unanswered by archeologists is why Chaco Canyon was deserted by AD 1250. Climate change may be the reason for the outward migration. 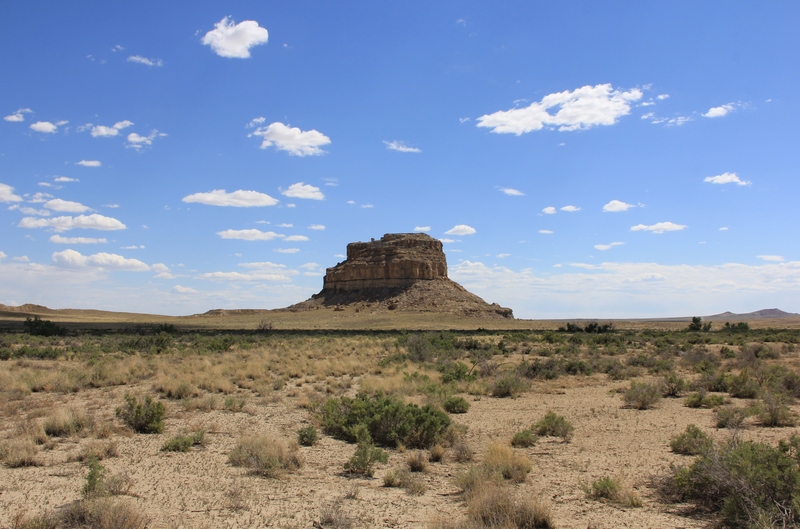 The San Juan Basin of New Mexico is an arid environment that receives only about 6″ of precipitation a year. 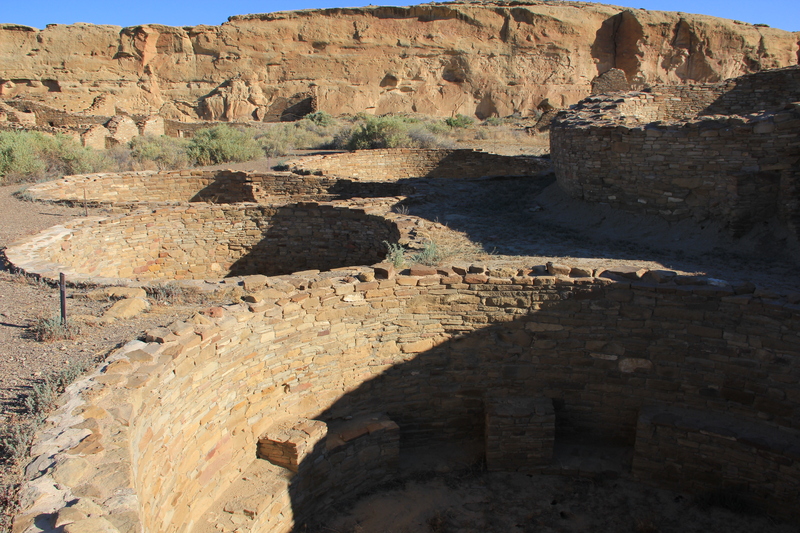 In the early 1200s Chaco Canyon experienced a 50 year drought that would have made a difficult life intolerable. Some people went north to occupy cliff dwellings at Mesa Verde, others went to New Mexico and Arizona and founded the tribes of the Hopi, Zuni, and Pueblos along the Rio Grande River. 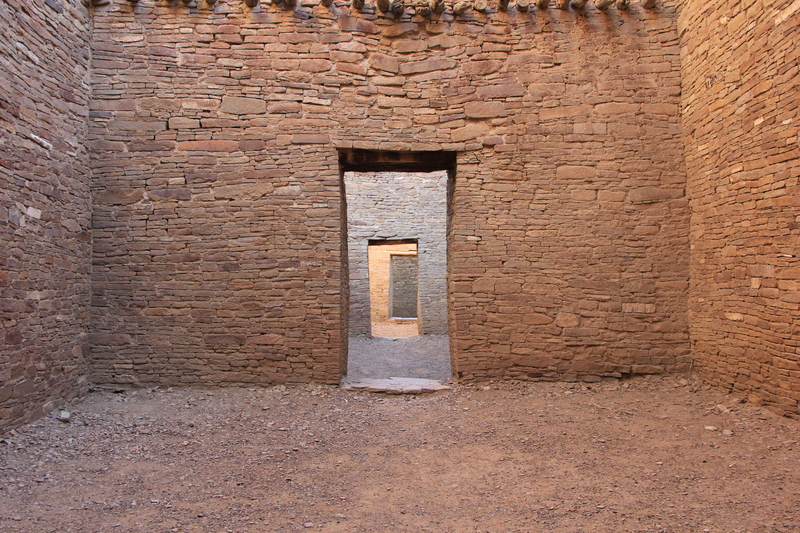 Chaco Culture National Historic Park is known for its distinctive architecture. 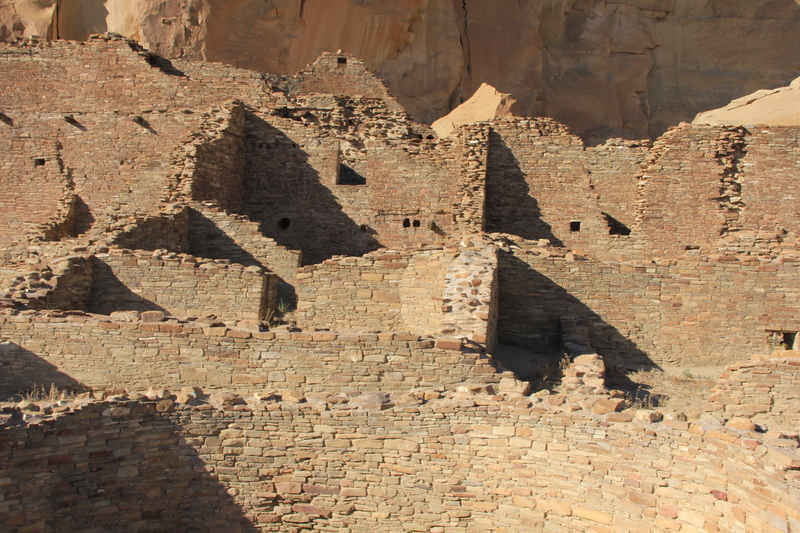 The ancestral Puebloan people built their urban centers with a pre-planned architectural design, incorporated astronomical observations in their engineering plans and developed one of the most complex societies in pre-Columbian North America. Could climate change have caused the people to abandon their great achievement or was it for economic, political or religious reasons? 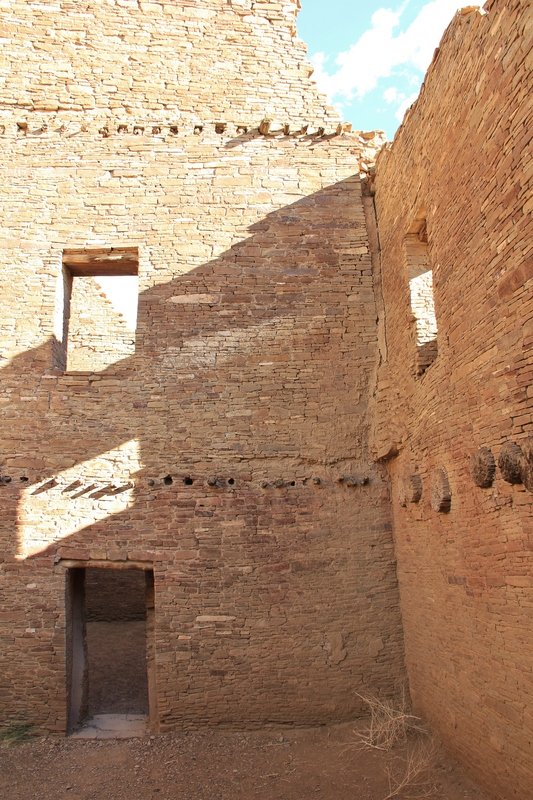 The following photos will give you an idea of the great houses built by the Chacoans and then left abandoned. 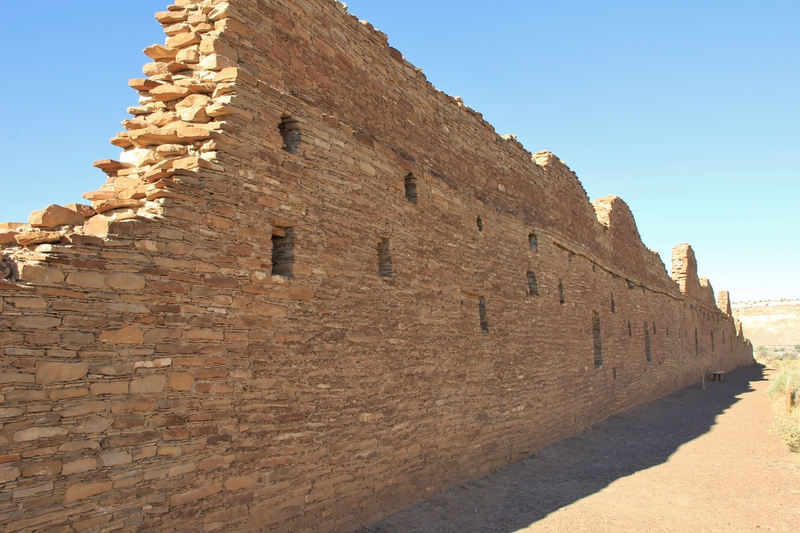 Chaco Culture National Historical Park preserves one of America’s richest and most fascinating cultural and historic areas. 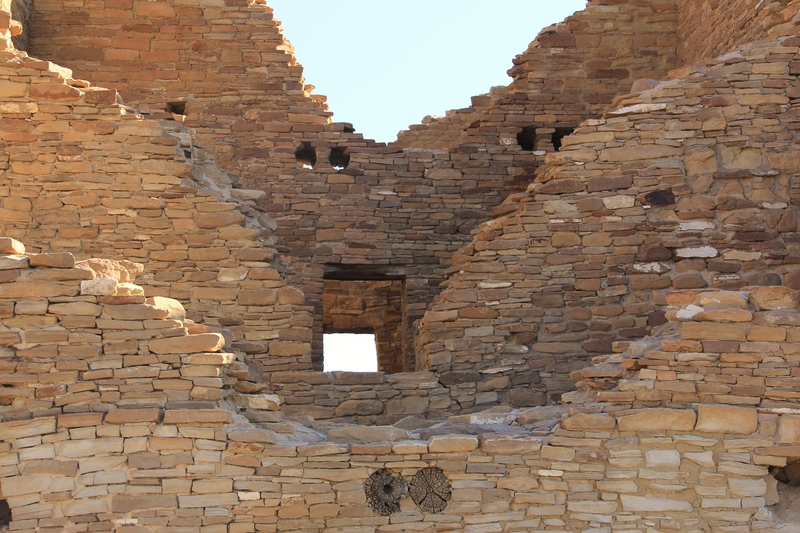 President Theodore Roosevelt named Chaco Canyon a national monument on March 11, 1907. 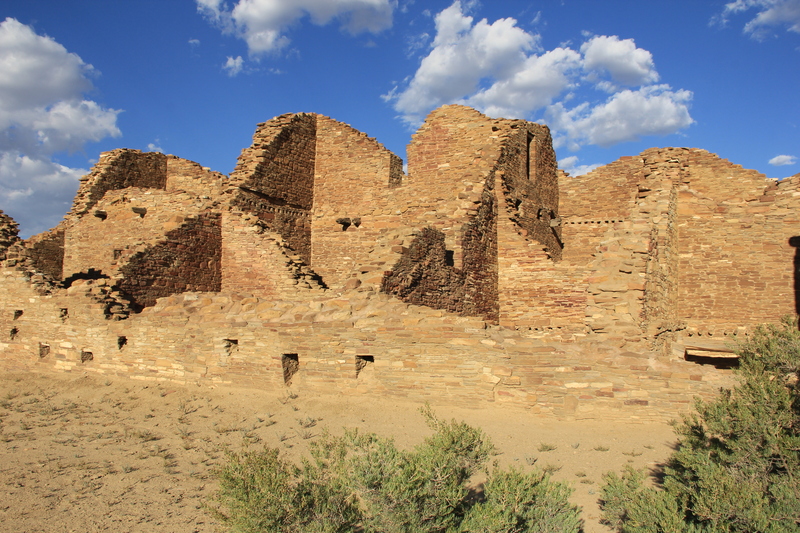 On December 19, 1980, Chaco Canyon National Monument was re-designated Chaco Culture National Historical Park. An outstanding example of culture, Chaco was listed as a UNESCO World Heritage Site, December 8, 1987. Because of Chaco’s excellent sky quality, it was elected as an International Dark Sky Park, August 19, 2013. Once again, there is a thriving civilization in the Southwest. Today there are huge metropolitan cities with growing populations that are dependent on scarce water resources. What are the consequences if a devastating, decades long drought settles on the Southwest? 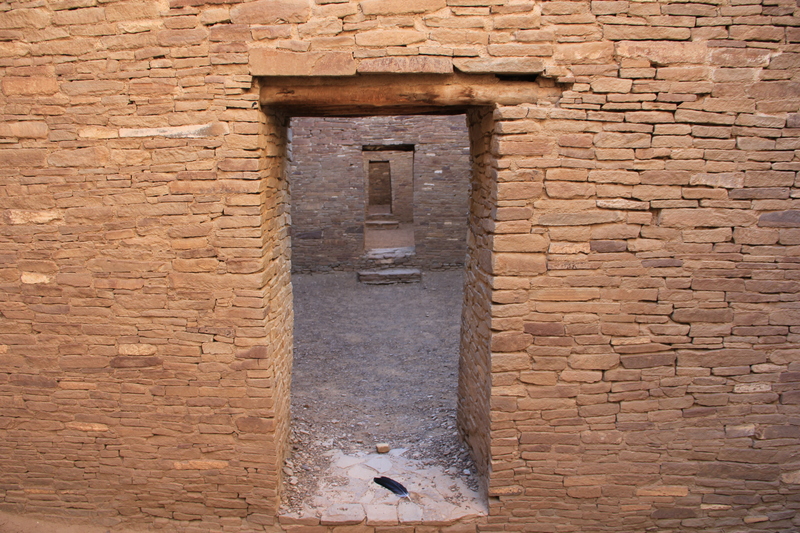 Can comparisons be made from Chaco to life in the Southwest today? This article concludes my series on Chacoan culture. 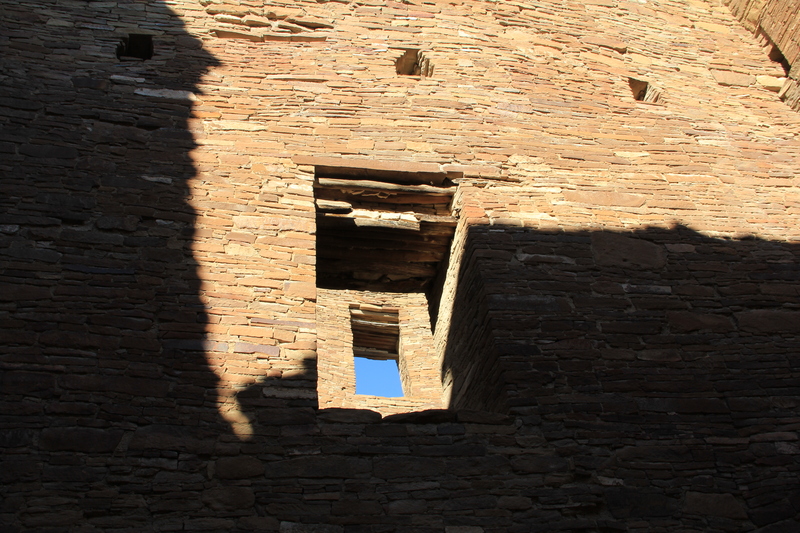 The preceding articles discuss great houses, masonry, archeoastronomy, the beginnings of settlement in Chaco Canyon and document my visit there in July of 2014. Chaco Culture National Historic Park is remarkable. I’ll be going back again some day, to stand where the ancients did a thousand years ago. Thanks for following along. This entry was posted in Air, earth, history, local economy, water and tagged architecture, Culture, history, New Mexico, photography, preservation. Bookmark the permalink.